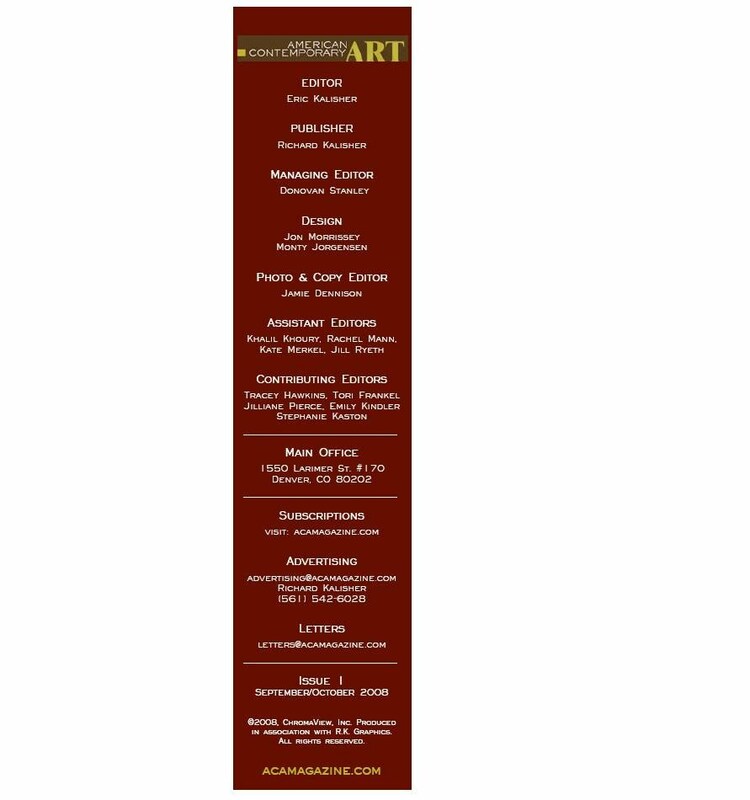 American Contemporary Art is published bi-monthly for a total of 6 issues each year. Subscribers can choose a one-year subscription at full price ($24) or two years at 25% off ($36). Subscription purchase may be made by using a credit/debit card or by using a PayPal account. Currently, we only accept subscriptions in the U.S. Check back later for international subscriptions. Copyright © 2008 ChromaView, Inc. All Rights Reserved.